In December of 1377, four children were burned to death in a suspicious house fire. Villagers traveled hundreds of miles across England to demand justice. 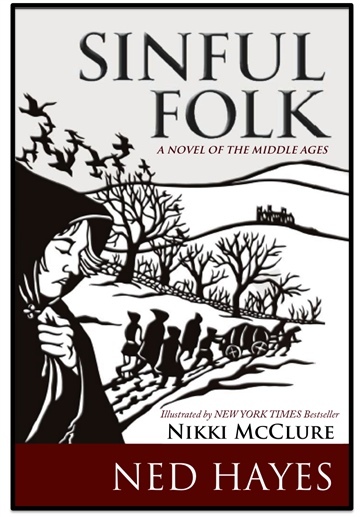 Sinful Folk is the story of this terrible mid-winter journey as seen by Mear, a former nun who has lived for a decade disguised as a mute man, raising her son quietly in this isolated village. 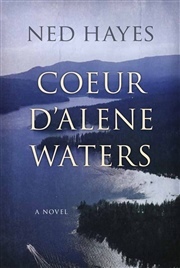 For years, she has concealed herself and all her history. But on this journey, she will find the strength to claim the promise of her past and create a new legacy. Mear begins her journey in terror and heartache, and ends in triumph and redemption. "An exquisitely written historical thriller that chillingly evokes the fear and cruelty of medieval England in the dark years after the Black Death. Told by a brave and charismatic narrator who will twist your heart-strings with her story from the first page to final startling revelation. An amazing novel based on a truly fascinating, unsolved mystery of the Middle Ages." "Sinful Folk' is a beautiful and bleak tale - a murder mystery and a journey of personal revelation - of English commoners making an unimaginable journey of two hundred miles to seek justice and answers. Ned Hayes takes the reader on a time machine trip to the harsh and hopeful life that ordinary people really lived. " -- William Dietrich, Pulitzer Prize winning best-selling author of the Ethan Gage series.